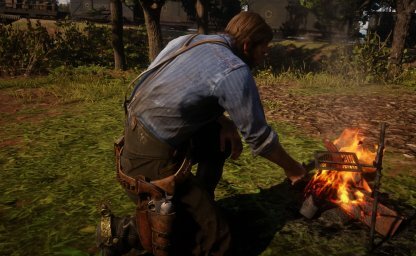 Learn to craft and cook at the camp in Red Dead Redemption 2 with this guide. This includes different recipes, locations where you can cook, and their effects. What Can You Craft in Your Camp? How to Cook and Craft? 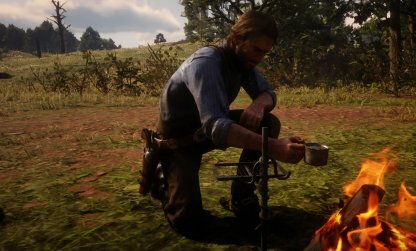 Arthur can craft food that he can eat in his camp while out in the wilderness. 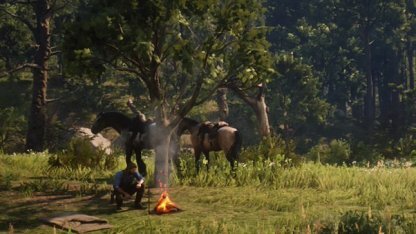 He can also craft a variety of useful items for himself and his horse while at the camp. Cooked food will help restore Arthur's Health, Stamina, and Dead Eye when consumed. Better quality meat, such as Big Game and Mature Venison, will fill up the cores more than lower quality meat. Tonics will fill up a specific core, depending on which recipe you brew. There are tonics for Health, Stamina, and Dead Eye with more potent ones completely filling up the cores. Arthur can create special ammo in the camp. These can range from explosive ammo to different types of arrows! You can upgrade your trusty Throwing Knife or Tomahawk at the camp! You can also create other throwable weapons, such as Dynamites and Fire Bottles. Make hunting a bit easier by crafting baits for both predators and herbivores in the area. 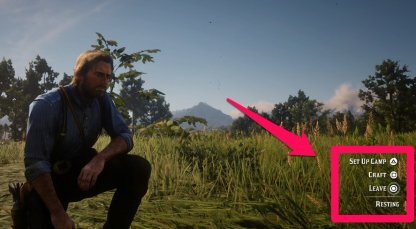 There's also a lotion that you can craft to hide your scent while hunting. 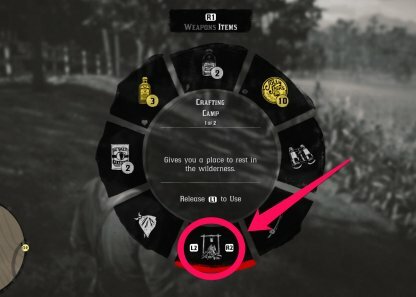 Items for your horse are also available for crafting at the camp. These include items, such as horse medicine, reviver, and even horse meals! Players will be able to cook and craft at the camps they set up in the wilderness. The camp will also allow you to rest with your horse hitched nearby while you go on with your business. Some recipes require a fire or a specific instrument to be crafted. 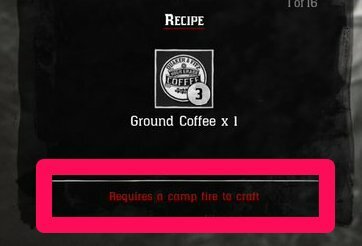 You can check which recipes require a fire from the recipes menu. From your inventory, go to the items menu. You can select to set up camp or to craft at bottom of the selection wheel, then release L1 to activate it. You can also set up camp or do crafting while you're resting. When resting, you will see the options at the bottom half of your screen.